Andrea Zucker represents and advises large and small businesses on a variety of matters, including hotel management, real estate development (including resort and condo-hotel development), acquisitions and sales, leasing, aircraft operations, telecommunications and general commercial contracts. 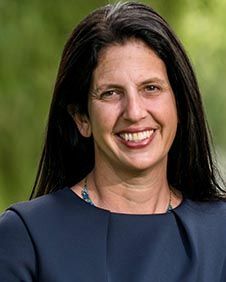 Ms. Zucker has served as a Senior Counsel at the New York City Economic Development Corporation, representing the City in real estate development, property management, purchase and sale agreements, leases, RFPs, conditional designations, construction contracts, management agreements, and contracts for professional services. She has also served as a Vice President at Morgan Stanley, negotiating transactions for the firm’s corporate real estate portfolio worldwide and negotiating corporate services agreements. Ms. Zucker has also practiced in two large international law firms. Ms. Zucker is a native of New York. She now lives in Boca Raton, Florida with her husband and three children. She serves as the Treasurer of the PTA at her children’s school.